tip top shape and have a good understanding of the in’s and outs of knowing the best time to start the next phase of your life. 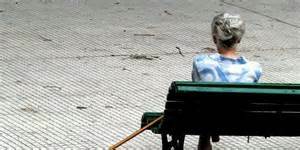 But to be honest, I am finding out that most people just have the attitude that they can retire at a certain age, accept the low amount of Social Security that some government worker tells them the limit of what they can get, or they hope their pension will still be around. Then comes the prays that no major catastrophe will hit them and that everything will work out for the best. Are you prepared for retirement and the major changes that will occur in your life? You need to be! And it doesn’t matter what age your age is right now, everyone heading into retirement at some time will be affected by loss of revenue, ill health, or some type of major road block that will complete change those retirement plans. Retirement is coming and will hit your before you know it, and each and everyone of us needs to address the issue of where we are with our retirement funds. So what I am saying is don’t just plan on relying on Social Security. What is great to know is that the Retirement Enhancement And Savings Bill of 2016 has been approved by the Senate Finance Committee Members, and now moves on to the next process of heading to the Senate. Yes, the motions of the Senate Finance Committee Hearing does move slowly! Both for the worker and the employer this bill will offer advantages. 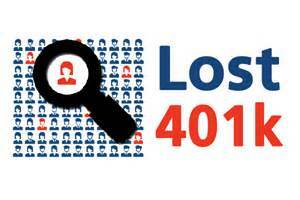 For the employee it will enhance the 401k plan and will make them easier and more accessible. It will be less stressing for the worker to save and take advantage of the option of making it easier to move the savings if leaving an employment. It will also give the opportunity for options of annuities contracts, which is a form of life insurance. On the side of the small business this ,plan will include easier startups and automatic enrollment tax credits, and the opportunity of keeping their employees without the fear of losing them due to not being able to offer some sort of retirement incentive. There are thousands of workers who are losing their pensions or getting a reduction in pension amounts. Are you one of them? Yes people, there is a crisis in the area of employer pension programs, have you heard of the issues with the Central States Pension Fund, that lost $500 million during the first six months of this year, or the Miners Protection Act of 2016? Do you have a pension program, a 401K plan or any type of retirement plan with your employer? Are you getting your full retirement, or will you get your full retirement? The backbone of this country is made up of miners, teamsters, auto workers, and factory workers. Yet due to economical issues we have seen pensions that have been promised to workers, dwindle away, shrink or restructured, leaving retirees in a serious financial bind. Does the red tape and the confusion of attempting to understand the if’s, and’s or buts of saving for retirement, make you put off the whole process of contributing regularly and making consistent contributions to a fund? Do you think that you can not afford at this time to add to a retirement just because you need every penny right now just to take care of everyday living expenses? Can you discover other ways to set aside more towards your retirement? Or will you be forced to continue working during your later years? Statistics have shown that less than half of boomers and those close to retirement years, do not have nearly enough saved. Approximately one third of people do not have a pension plan, and no retirement savings and will have to rely entirely on Social Security. (Whoa, that is not good… I know people that are trying to survive on $1,100 a month Social Security benefits because they have no other sources of income. What it comes down to is that that Americans are coming up short, real short when it comes to retirement savings, like for a total of in the trillions of dollars short! Unfortunately most people realize that that the time has caught up with them, and are now scrambling to figure out what to do about their retirement years. Many are now delaying retirement and will continue to work if possible, but most of them are starting their own part time business and are finding great results in the process. Amazingly not only are they producing extra sources of income they have found out that keeping active with a business also keeps them healthier, their brains sharper and increase their learning processes. Referring back to the Retirement Enhancement and Savings Act 2016, from what I have been reading, this act does not take into consideration any of the private sector pension programs even though millions of Americans will rely on these pensions programs. Could the private sector pensions be under funded as well and also be in trouble? Having an easier tax deferred retirement savings through employers is essential for the pension issues but perhaps the biggest issue is getting employees to be better educated on the involvement of saving for retirement years. This bill will benefit the small business, those under 500 employees where statistics have shown that only 20 % of individuals get involved in their company’s retirement program if any, due to the bureaucracy in setting up retirement plans for small businesses. In regards to this matter, legislation is being worked on for small businesses to file simpler forms and having lower cost in setting up retirement plans. This bill will allow small businesses to easily create retirement programs for their employees to include automatic enrollment, simpler processes and easy access. Whatever the outcome of this bill, it is vital that you learn as much as you can about your retirement options, because no one will do it for you. Learn to be in control of your financial future and how you will live in your retirement years. So do you want to avoid the whole hassle of trying to figure out how you will afford to live in retirement? 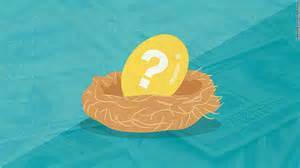 To get a better understanding of what it means to save for retirement and what you will be able to accomplish if you apply just $100 dollars a month towards retirement, then check out this video by financial expert Dave Ramsey. Whatever you decide with the Retirement Enhancement and Savings Act 2016, and how it will work for you, make sure you just get started and while you are working on it find a way to have extra sources of passive income available for retirement. Wow great topic, loved the article, there is great ways to increase our money and become a millionaire, but I always wonder if it does work for a person in a early time of age? I mean I’m only 16, but really interested in making money online or offline, I just try to collect some tips an tricks to be a millionaire or at least motivate myself and mind to work for it, so this article was really helpful thanks again! I think it is great that at the age of 16 you are already looking at your future in regards to success and knowing that your retirement will come eventually. Imagine if you were able, at your age to consistently put away $20 dollars a week. Did you get a chance to view the video with Dave Ramsey? Take another look at it, and tell me what you think.